Genre: Comedy, Drama, Romance, Shoujo, Supernatural. If loving you was a sin…then that sin already began 200 years ago. I’ve suffered all this time to meet you, to love you. The lustful vampire Jin WooYoung, and the human girl that he loves, Kwon BoMyoung! When I look at you, the ice cold blood in my body burns like flames. we already have permission to translate thanks to bluebird scans , Of course not delete the credits and we respect your work. 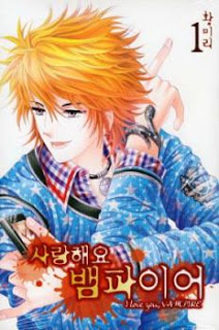 I was waiting for this manhwa I am a big fan of Hwang Mi-ri.I love her work!!! thanks for this excellent fansub!!! !